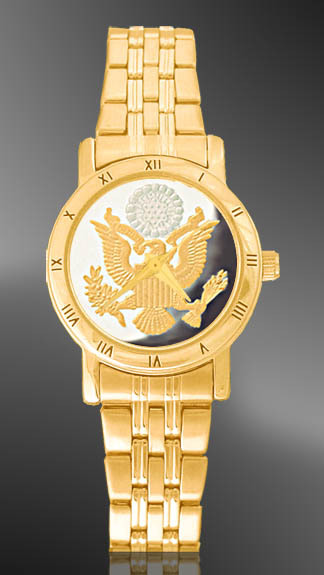 Saratoga Series watches feature recessed Roman numeral bezels. The dial is a custom minted Great Seal medallion enhanced with our extreme precision 24K gold accents on silver plate AureTone™ finish. A genuine Swiss parts movement powers each watch, which is secured with a stylish stainless steel bracelet, finished in pure 18kt gold. 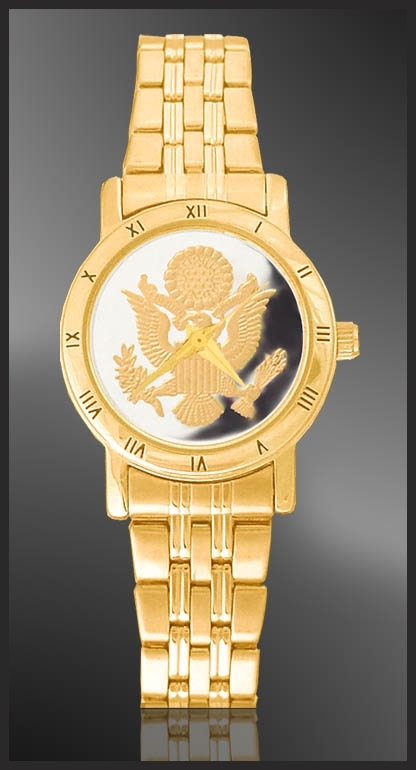 Saratoga Series watches feature recessed Roman numeral bezels. 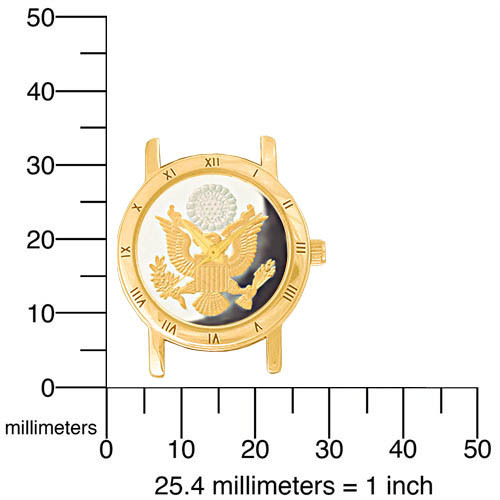 The dial is a custom minted Great Seal medallion enhanced with our extreme precision 24K gold accents on silver plate AureTone™ finish. A genuine Swiss parts movement powers each watch, which is secured within a stylish stainless steel bracelet, finished in pure 18kt gold. Each comes with the security of a lifetime warranty against defect and is accompanied by a unique numbered signet and certificate of authenticity.